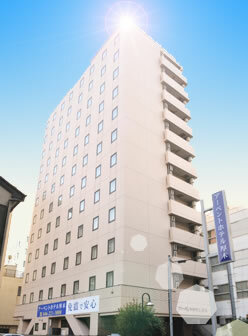 HOTEL FOR BUSINESS TRIP IN CENTRAL KANAGAWA PREF. LOCATED IN ATSUGI CITY. NEAR BY HON-ATSUGI STATION, ODAKYU LINE. ABOUT 3 MINUTE'S WALK FROM HON-ATSUGI STATION. ABOUT 10 MINUTE'S BY CAR FROM TOMEI FREE WAY ATSUGI IC. 121 ROOMS (44 NONSMOKING ROOMS). Quake-absorbing structure as the highest standard of the world which can parry the attack of double standard(100kine) of Japanese Building Code. Front desk : Open 24 hrs. Arranged world wide Simmons's double bed in all rooms.